It’s spring break week here, and while we initially had various plans for traveling, as it turns out we are on vacation but staying put. Looking back through this blag I think this is the first time in many years we haven’t traveled during the break, so this is kind of new for us. Gus is midway through his break, me a bit moreso (I’m going back to work on Monday next week). So far it’s been delightful. We’ve seen two movies (Captain America and Divergent) and watched some TV we’d been storing up (read: hadn’t had time to watch). I’m reading 2 books and have another queued up for when I finish them (probably today). Gus has been playing videogames til his eyes bleed, watching Bob’s Burgers, and reading the Divergent books, plus a smidge of homework (though there’s more to do before the break’s out). We’ve had some fully inside days and haven’t hurried to get out of pjs even on the days we have left the house. We went to the AMNH and saw the poison exhibit (which was fantastic) as well as the new Dark Universe planetarium show, and spent some time in the always awesome reptiles and amphibians room (How to Get Bitten By a Snake!). We ate lunch at the incredible Food Court 32 Asian food mall on 32nd St. I’ve gotten 8 hours of sleep each night, did some work on an article my research partner and I are finishing, and got back to playing Papa & Yo, one of the videogames I got for xmas. Today might turn out to be an inside day — it’s sunny but very cold (seriously April what is with this crazy weather?) 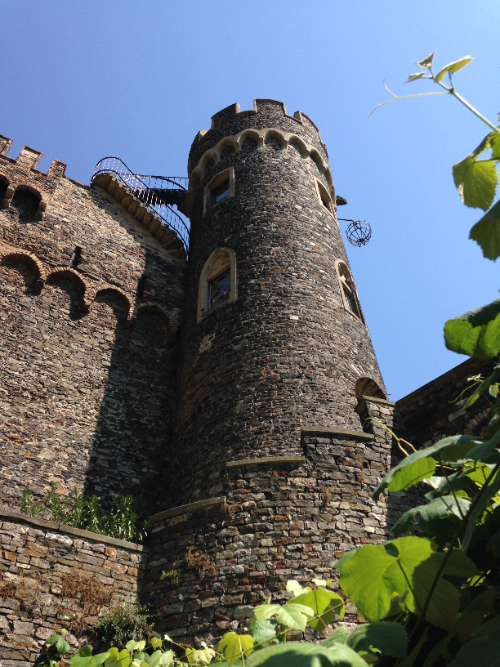 — but other plans for this week include going to the Bronx Zoo, getting my bike out of the basement and ready to ride to work on Monday, and working on a conference proposal. Plus the aforementioned reading and videogaming. We could walk over to the botanic gardens or through the park. We could go to the fancy ramen place in our neighborhood for dinner one night. 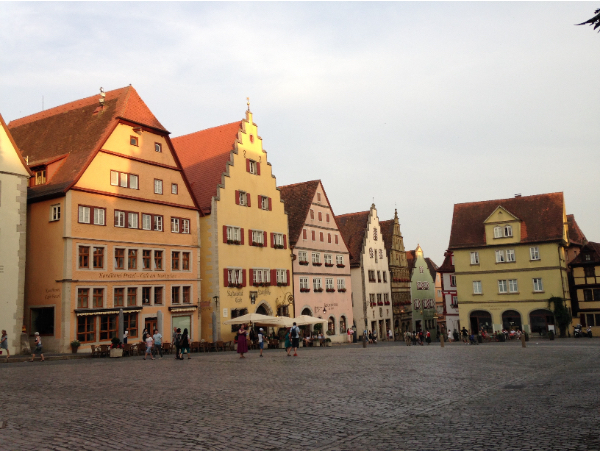 Really there are lots of options for things to do, though the staying-in options are also tempting. This is somewhat new territory for me — whenever we travel I want to make a giant list of all of the things we could do, and often have to fight against my tendencies to march us through the list without time to relax in between. Partly that’s because I worry (especially if we go someplace far away) that we’ll only ever have one visit to that place, and I want to be sure we see the interesting stuff. But also I think I do better when I’ve had some physical activity, even if it’s only walking around. Or standing around — I can’t play Papa & Yo while standing, but I can read and type just fine. The nice thing about taking time off but not leaving town is that there’s no pressure to run around and see everything, because it’s all here for us on any normal weekend. That Swoon exhibit at the Brooklyn Museum? Definitely want to see it, but it can wait. 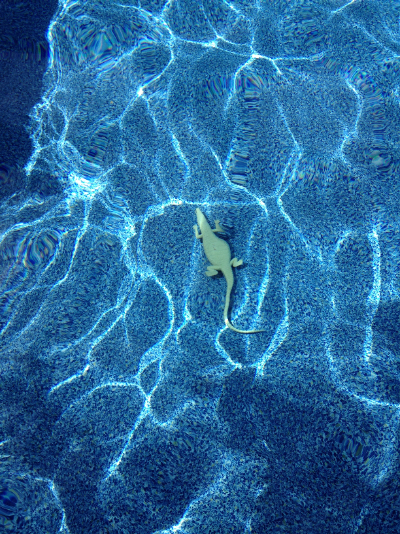 It’s been a busier semester than usual so maybe that’s helped me accommodate to relaxing this week, too. So my staycation verdict? Two (relaxed) thumbs up, five stars, would do it again. But now I’ve got to run, I have a book to finish. For some reason when we were in Montreal earlier this summer I started cracking up over the number and variety of “don’t” signs. 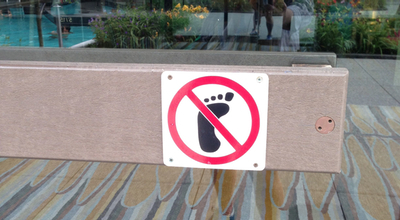 It’s not like they’re unique to the city or even to Canada — of course there are don’t signs in all places that have: 1) people, and 2) restrictions on said people’s behavior. We have them everywhere in NYC, duh. So why did I find them so funny? I think it was the specificity more than anything — some were so very narrow in their proscriptions. 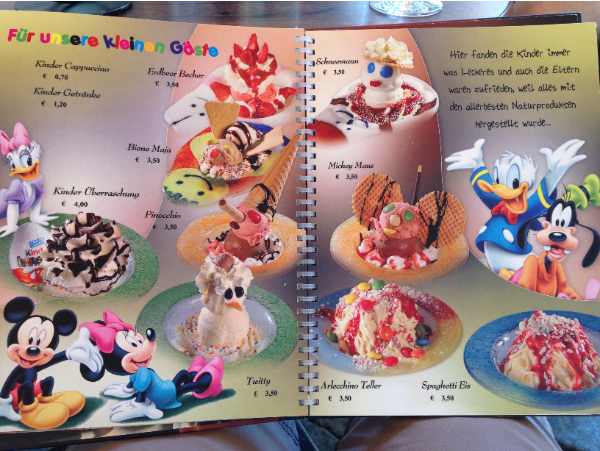 Also sometimes the scale of the images on the signs was…off. The hotel we stayed in had a very neato outdoor pool on the roof, which of course requires many don’t signs because omg pools on roofs, so dangerous! 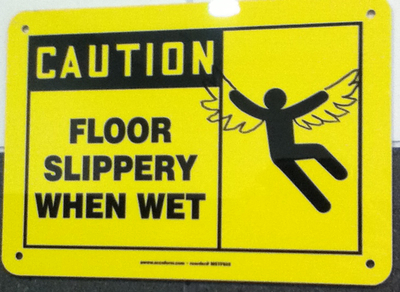 Don’t fall on this wet floor because otherwise you will turn into a bird. 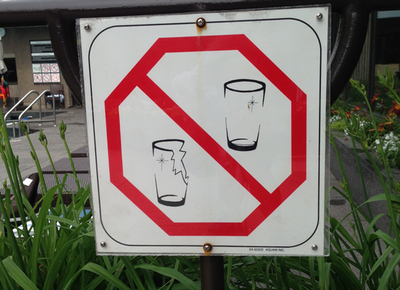 Also don’t even think of bringing your sparkly ’50s glassware out here, either broken or whole. 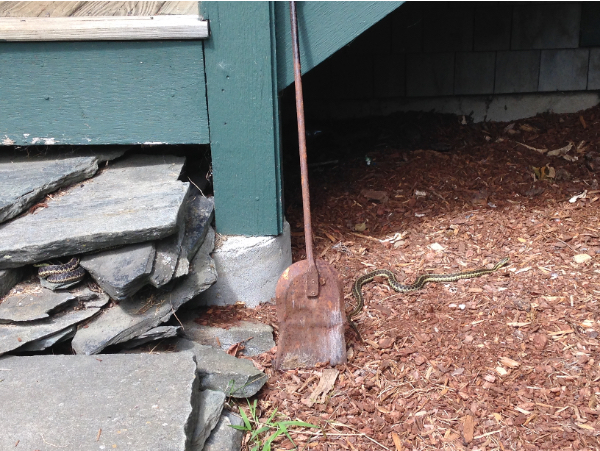 When heading inside, kindly leave your feet outside, thanks. 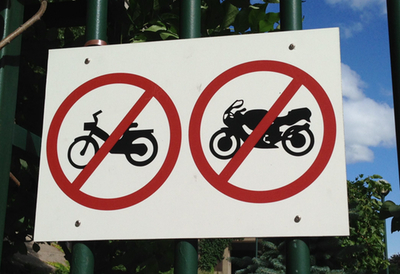 Montreal is very bicycle-friendly, so don’t even think of locking your moped or motorcycle to this bike rack, yo. We spent lots of time using the Metro to tool around the city, and of course there are lots of things you can’t do on the Metro. Wheeled recreation of many sorts is right out, especially those rollerblades that are the size of a skateboard. Also you may not smoke your skateboard-sized cigarettes in the Metro station, either. We spent one afternoon at the Biodome, a combination zoo/aquarium/botanic garden kind of place at the old Olympic center that was just lovely (if frightfully crowded). 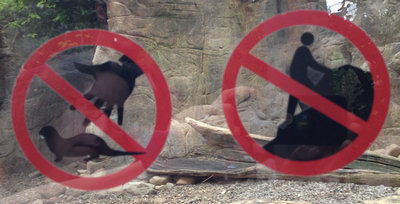 In the Biodome it’s forbidden for you to use your giant hand to grab (or wave at!) the very small otters. You also may not climb whatever that pile of stuff is. Adjacent to the Biodome is the botanical gardens, which were huge and amazing and in which we spent probably 4 hours on 2 afternoons and still didn’t see it all. 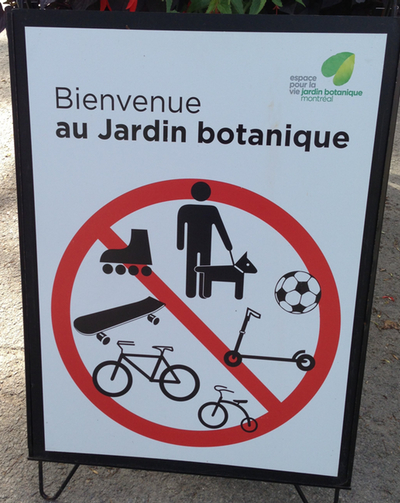 Upon entering the gardens you’re greeted with a plethora of restrictions, including not bringing your dog-sized soccer ball (or soccer-ball sized dog?) with you on your visit, again with the humongous rollerblades (perhaps for normal-sized people with enormous feet? ), and please leave your many varieties of human-powered wheeled transportation mechanisms for humans of all sizes, from tiny to giant, at home. 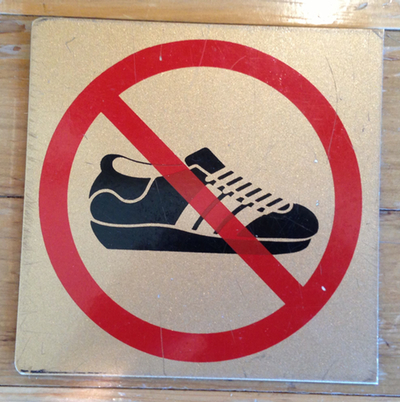 In the pavillion in the Japanese Garden you may not wear Adidas. 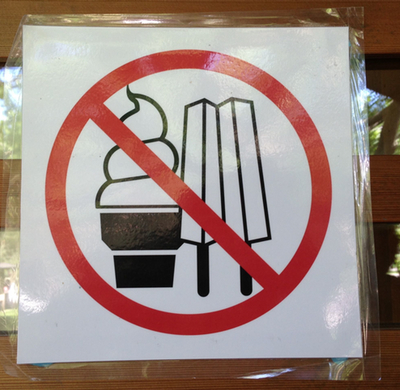 You also may not consume either soft-serve ice cream or classic popsicles from the ’70s. Nikes and ice cream bars are fine, though. I was so obsessed that it was contagious. 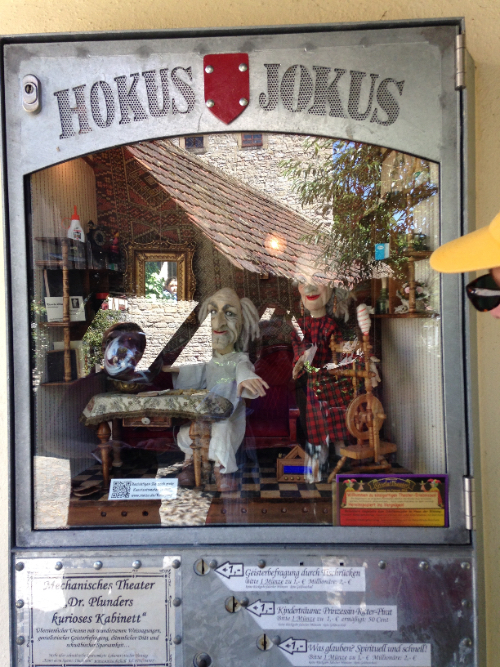 Gus’s grandpa sent me this photo from a trip they took after we went home. 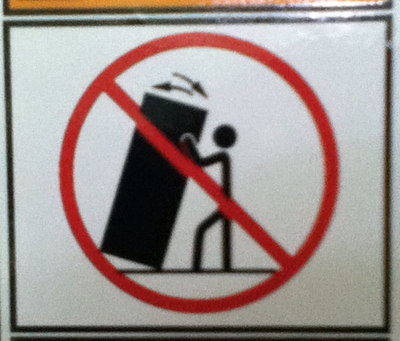 As if it weren’t totally obvious, please don’t dance with your refrigerator.